The North Cork Local Community Development Committee (LCDC) – a Committee of Cork County Council – has been confirmed as the new LEADER Local Action Group (LAG) for North Cork and the programme will officially commence on the 1st December 2016. 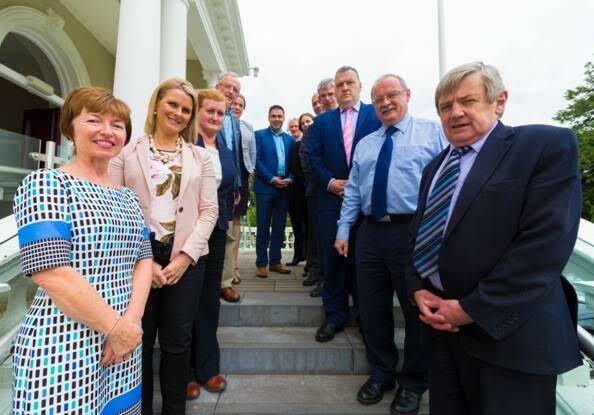 The new group – which will be branded “LEADER North Cork” – will manage the allocation of €5.1 million in LEADER funding across North Cork for the period 2016-2020. In addition Cork County Council will provide a supplementary Community Development Initiative Fund of just under €1.3m to support the programme which will bring the total funding available to communities in North Cork to just under € 6.4 million. The programme will be rolled out by a consortium of the North Cork LAG and the three incumbent local development companies operating in the North Cork Council division namely; Avondhu-Blackwater Partnership CLG, Ballyhoura Development CLG and IRD Duhallow CLG. 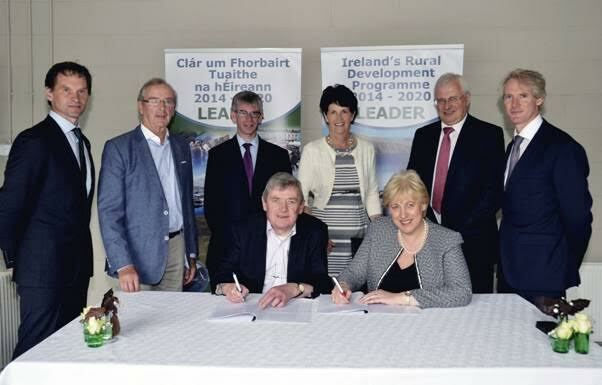 The LEADER Programme supports local and community projects across a diverse range of themes including; Rural tourism, enterprise development, rural towns, access to broadband, basic services targeted at hard-to-reach communities, rural youth, protection and sustainable use of water resources, protection and improvement of local biodiversity, and development of renewable energy. The programme is co-financed by the European Agricultural Fund for Rural Development. The Chairman of LEADER North Cork, Cllr Gerard Murphy commended the Group, its three implementing partners, and Cork County Council for the fresh and innovative approach that it has developed for the rollout of LEADER in the region. Cllr Murphy added: “The available budget is greatly reduced from previous LEADER programmes. However there is a sense of real urgency in rolling out the new programme. Communities have been cut-off from LEADER funding over recent years and there is a pipeline of projects ready to be assessed. Communities can be assured of the determination of LEADER North Cork to issue contracts for available funding as speedily as possible”. Cllr. Murphy added that the North Cork LEADER Programme will officially launch on the 1st December and will include formal Calls for Expressions of Interest for suitable projects. Pictured at the recent signing of contracts for the North Cork LEADER Programme were: standing L-R: Aidan Gleeson (Ballyhoura Development CLG) , Seán Hegarty (Avondhu Blackwater Partnership CLG), Niall Healy (Cork County Council), Valerie Murphy (Avondhu Blackwater Partnership CLG), Tom Stritch (Cork County Council), Pádraig Casey (Ballyhoura Development CLG). Seated L-R: Cllr. Gerard Murphy (Chair; North Cork LAG), Heather Humphreys (Minister for Arts, Heritage, Regional, Rural and Gaeltacht Affairs). L-R: Marie O’Flynn, Dept of Social Protection, Fiona Hayes, Cork County Council, Brid Coakley, Cork County PPN; Sean Hegarty, Avondhu Blackwater Development Partnership CLG, Maura Walsh, IRD Duhallow CLG, Cllr. John Paul O’Shea, Cork County Council, Pádraig Casey, Ballyhoura Development Group CLG, Margaret Fenton, Respond! Housing, Kevin Curran, North Cork LEO , Niall Healy, Director of Service, Cork County Council, Cllr. Bernard Moynihan, Cork County Council , James Fogarty, Divisional Manager North, Cork County Council and Cllr. Gerard Murphy, Cork County Council (Chairperson North Cork LEADER LAG).